Often with a reverse-lasted foot shape. Mildly inverted heel alignment from an Uncompensated Rearfoot Varus. 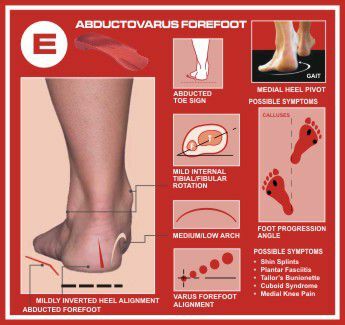 Large Rigid Forefoot Varus alignment. Restricted subtalar pronation throughout with a narrow heel base of gait. Pivots on the 5th metatarsal head in propulsion with associated medial heel whip. Calluses may form to the 2nd metatarsal and 5th metatarsal. Approximate presentation in US population is 23%. 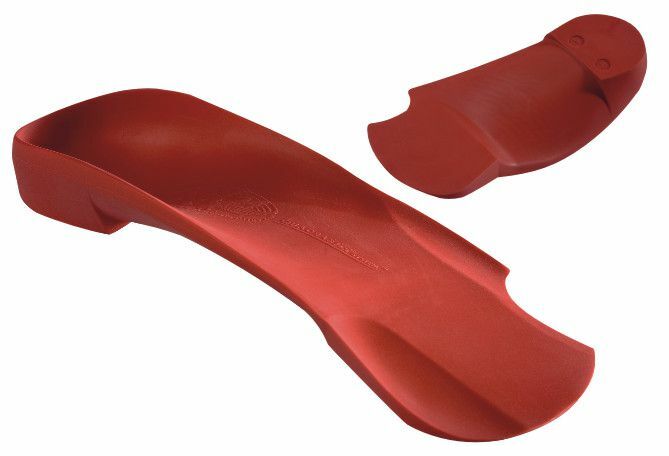 The Quad E foot type is one of the most destructive foot-types of all, due to the very rigid foot that is unable to provide the motions necessary for normal ambulation. Even as a youth, and certainly by the time this person is in their teens, they are already showing signs of midtarsal joint breakdown, fatigue during walking and the acquisition of a reverse last foot shape. CHILD PRESENTATION: This is a problematic foot type even in children and leads to multiple painful conditions in childhood that are misunderstood as "growing pains". Often seen with poor core strength. The best way to determine the progression of the child's foot is to evaluate older siblings feet or ask Mom and Dad to remove their shoes and socks. WALKING PATTERN: Walks with a toe out gait, ballistic heel whip at heel rise and may be described as a "Runway Model" walking pattern. May kick opposite leg.